Sara Yin of PC Magazine has an interesting article entitled "Tablets Are Still Seen As Toys, Survey Says". I am not replicating all the data reported there in this post, so you may want to read that article first before this commentary. "Sixty-two percent of the 1,800 consumers surveyed said that if they do buy a tablet within the next 12 months, it's because they want a new "toy or a gadget." That figure is even higher than the sentiment captured in November 2010, when only 44 percent of those surveyed checked the "toy or gadget" box. A large portion of the buying public has always questioned whether tablets are really serious tools for doing work with good reason. First is the absence of a keyboard. Sure there is a virtual keyboard, but that puts us back to the situation of typing on a small cramped device. Many of us never enjoyed typing on netbooks, why would we enjoy typing on a tablet. 10-inches diagonal is just too small for a proper keyboard. Second, although this is limited to the Apple iPad, and not tablets in general, is that it does not even have a built in file manager. No way I could keep track of the 4,000+ documents I have on my laptop there (although Dropbox can fix this problem to a great degree for this willing to go the cloud route). So, is it a toy or not. I think it depends on who you are and what you do. If you spend a lot of time on documents and spreadsheets, well a tablet is not going to become your primary work machine. If you need a device to do on-line research, taking notes in meetings and conferences and the like than it could be a very productive tool. They should really bring back the stylus though. "Citigroup surveyed 1,800 users interested in tablets from the U.S., U.K. and China. Those in China signaled the most interest in buying a tablet; 26 percent said they were 'very likely' to buy a tablet, compared to 12 percent in the U.S. and Britain." From this I gather that where tablet penetration is greatest, the interest in tablets declines. People who have not owned one and only tried one for a few minutes are impressed by the new device. Many owners eventually find out they really wont replace their laptop and its track pad, relegating the tablet to a alternative device that serves no particular purpose. In the end, it is more of a big smart phone than a PC replacement. Between my wife and I, we have three laptops (one serves the function of a desktop), two smart phones, a feature phone and a tablet. The tablet gets the least use among the three, but it does go with us pretty much wherever we go. Being a small 7-inch Samsung Galaxy Tab it is always tucked in my wifes handbag. So while not used to much, its greatest value is that it keeps the laptops at home more often serving as a less than capable device that can sub for a laptop when a unexpected need arises. That being said, if it broke, well we probably would not replace it. If one of laptops our smart phones died on us, they would be replaced in 24 hours. In sum, I do not see a tablet as a toy. Whether it is a toy or not, depends on the needs of the user. One issue not covered by the Citigroup survey is whether there is a tablet market or just an iPad market. The dominance of iPad's does hint at the toy theory, that people just want a tablet if it has an apple on its back. I think it is not that simple. The demand for non-Apple tablets is really going to be less by nature. Let me explain. 1. Those who are comfortable with the Apple ecosystem do not really have low cost laptops as an option. The cheapest MacBook cost 50K here, and the cheapest iPad is less than half of that at 24K. Those not invested the Apple ecosystem could get a 24K (or even cheaper tablet) or a 11.6-inch AMD Fusion powered ultraportable for 24K or less. An Apple netbook might sell really well too. 2. iPhone users do not really have larger screen options. 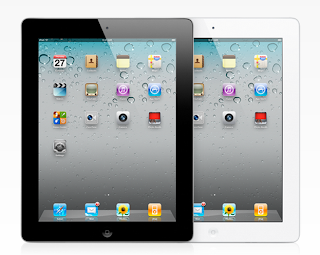 I think the iPhone's being limited right now to 3.5-inch screen actually boosts iPad sales. Android users who feel 3.2 to 3.7-imches is not big enough constant use, might simply opt to get a larger 4.3-inch to 4.7-inch smart phone which they might find big enough to do and forgo a tablet. If Apple started offer monster iPhones, some iPad buyers may feel that it big enough. Basically, people invested in the Apple ecosystem have the best reasons to buy tablet. Windows users and Android users really have more hardware options.